AMMONNEWS - The United States marked the 40th anniversary of Iran’s Islamic Revolution by highlighting what it says are the “broken promises” of the Middle Eastern country’s leadership. Tehran launched celebrations Friday to mark the 1979 return from exile of the Islamic republic’s founder Ayatollah Ruhollah Khomeini and the revolution that overthrew a centuries-old dynasty. 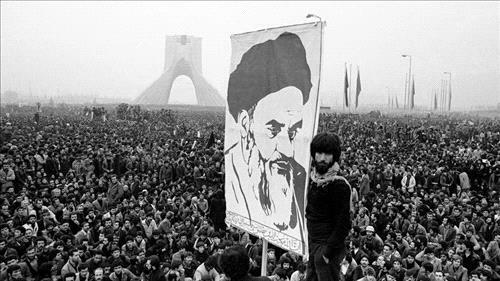 “When he returned to Iran in 1979, Ayatollah Khomeini made lots of promises to the Iranian people, including justice, freedom, and prosperity. 40 years later, Iran’s ruling regime has broken all those promises, and has produced only 40 years of failure,” the US State Department wrote on its official Twitter account. The administration of President Donald Trump has been consistently hawkish on Iran and tries to counter what it considers Iran’s “destabilizing” influence in the region. The two countries have not had diplomatic relations since 1980, and the president pulled the United States from an international agreement meant to check Iran’s nuclear weapon ambitions.